Delta Rigging and Tools is a proud distributor of Slingmax® Rigging Solutions and their Gator-Laid®, Gator-Flex®, and Tri-Flex® braided wire rope slings. Multi-part braided wire rope slings allow you to get a great deal of flexibility and high capacity from a wire rope sling. With traditional wire rope slings as the capacity of the sling increases the diameter of the wire rope gets thicker and the flexibility of the sling decreases. This makes it difficult to manipulate and maneuver the slings in the field. By using multiple wire ropes braided together instead of one thicker wire rope the Slingmax® slings give you the flexibility of the small diameter wire ropes used in their construction, and a high capacity created by the multiple parts of line working together. 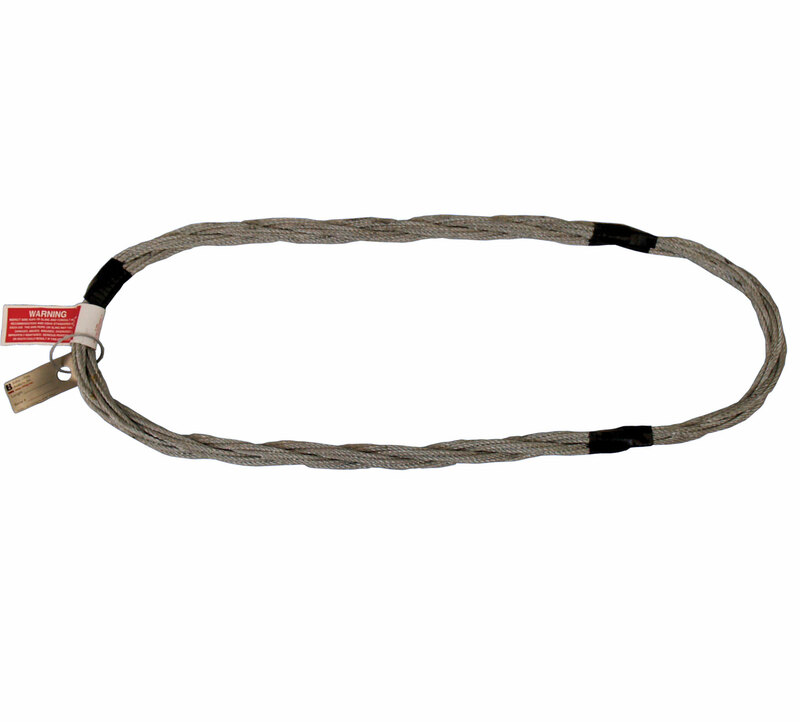 Gator-Laid Wire Rope Slings were designed to be the world’s best heavy lift wire rope slings. Although they were originally developed for the offshore oil industry they meet all industrial and regulatory standards. A Gator-Laid ® Sling is made with metal sleeves for the splice and 12 parts of wire rope in the eye to provide excellent flexibility for their capacity. The wire ropes in the eye are parallel-laid which provides better load and wear distribution. Gator-Laid® Slings are available in vertical capacities from 14.6 tons to 434.8 tons and their design allows them to be made in shorter lengths than traditional wire rope slings. Gator-Flex Grommets are endless slings that incorporate the multi-part Slingmax® design to allow for great flexibility in a high capacity sling. The Gator-Flex Grommets design allows it be made in shorter lengths than standard multi-part slings while still maintain all of their advantages. Slingmax® has grommets available with vertical capacities from 10 tons to 1224 tons. They are the most flexible grommet on the market today! Tri-Flex Wire Rope Slings are 3 part wire rope slings that provide better flexibility than your traditional single part wire rope slings. Their three part design was designed to replace awkward and stiff single part slings in applications where flexibility is important. They have proven an effective replacement across several industries and applications from steel erection or machinery moving to any type of heavy lift.